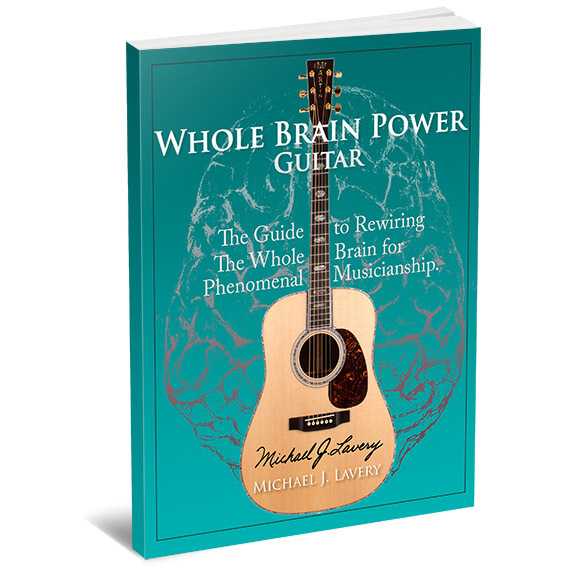 Whole Brain Power: Guitar is a system developed by brain pioneer Michael J. Lavery which helps any individual rewire the entire brain for improvements at whatever endeavor he or she pursues. In this book, he makes a solid argument that the nature of our asymmetrical motor skills and brain function is often times a stumbling block towards wonderful musicianship. The profound questions he often asks people who are stuck on a plateau in terms of guitar playing happen to be, “Which is your dominant hand?” and “How would you rate your overall memory processing?” To the first question, most people will admit to their right-hand dominance. Approximately 12% of people claim that they are left-hand dominant. 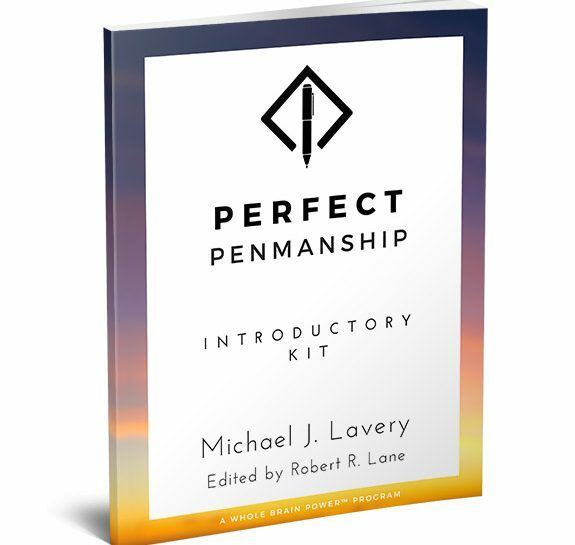 To the second question that Lavery poses the answer is more often than not, “My memory is great.” Lavery continues to hammer home his points which are, “Why are you not training yourself to become ambidextrous?” and “What kind of memory exercises are you practicing on a daily basis?” Often times, people claim that they have equal control of their hands and brain hemispheres, Lavery takes out paper and pen and asks people to demonstrate their ability to write with either hand equally as well. 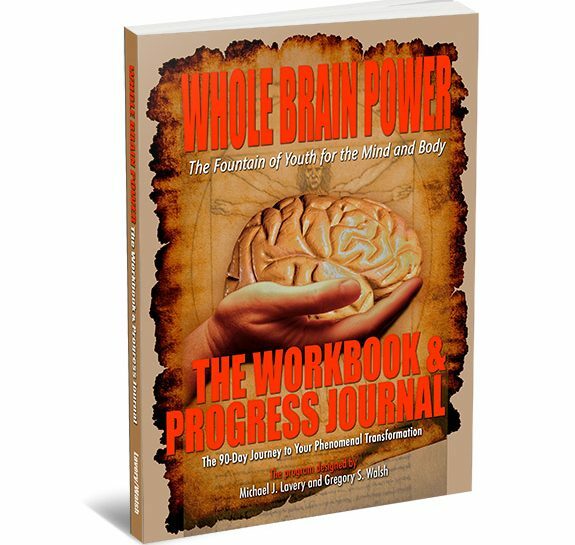 This is one of the brain training secrets that Lavery has been working on for thirty years. 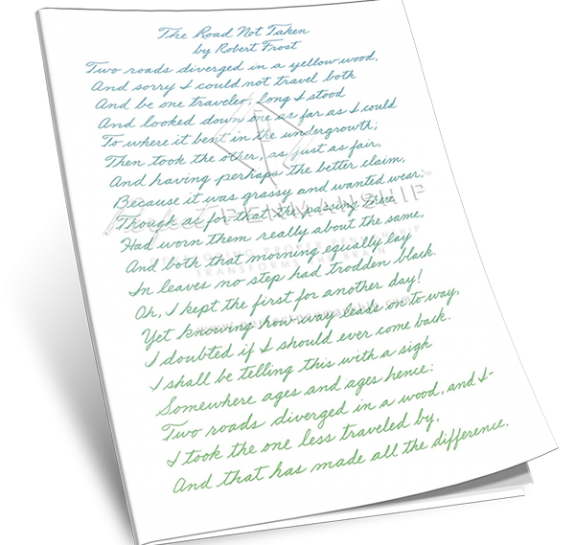 You will discover that some of Lavery’s students have developed the proficient skill of writing either hand and as well as the Da Vinci method of mirror writing. Other drills that are recommended by the author include ambidexterity with juggling, the invented hammer drills, and memory exercises allowing for expanded imagination and unlimited creativity which translates into a greater expression through the musical instrument of the guitar. Your ability to compose original songs and unique soloing skills will manifest as a result. In this book, you will learn the basics of music theory along with the Circle of Fifths including the reason why chords can be predicted within any musical key. By using the fretboard templates that he designed, you will learn scales that you have never utilized previously. Until you have experienced this unusual form of multi-faceted, whole-brained training, you will never know the true benefits for your improved guitar playing. For within his system, there are many memory exercises that are promoted which on the surface appear to have nothing to do with playing the guitar, but upon application, have everything to do with it. For those that struggle to remember the complex chord progressions or the lyrics to the songs that one aspires to master, this book is a must-read.